Priyanka Chopra, who is enjoying her happily married life, is gearing up for her next release, Isn't It Romantic?. In fact, the diva is busy promoting her movie these days. However, her busy schedule doesn't stop her from celebrating her first Valentine's Day post-marriage with hubby Nick Jonas. Reportedly, Priyanka and Nick would be celebrating Valentine's Day in London this year. Sharing her V-Day plans with Extra, Priyanka revealed that she would be flying to London as Nick is working there. The couple would be taking a two-day break from their respective hectic schedules and would spend the special day together. Priyanka also emphasized that she doesn't need a day to express her love. "But it's always nice to hear it," she quipped. Earlier, it was reported that the newlyweds might not be able to spend Valentine's Day together, given their busy schedules. 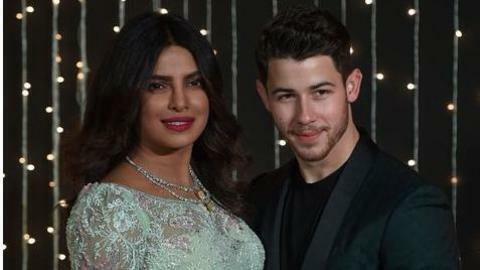 However, destiny had other plans for Priyanka-Nick. The diva is glad that things fell in place and they would be together on V-Day. Priyanka-Nick's fairytale story does restore our faith in love. As a matter of fact, the Quantico actress can't stop gushing about her husband and admitted that Nick is the secret of her happy married life. "There is a big difference between husband and boyfriend. It's a good thing to be married to a good husband. That makes it easy," Priyanka asserted. On the career front, Priyanka is looking forward to her third Hollywood venture, Isn't It Romantic?, which will be releasing on February 28. Besides, she will be making her Bollywood comeback after a three-year hiatus. Priyanka will be seen in Shonali Bose's The Sky Is Pink which is expected to release by year-end. Also, Priyanka will be working on a biopic on Anand Sheela.